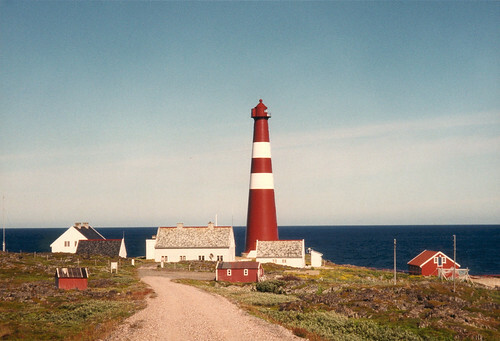 The lighthouse at Slettness, near the village of Gamvik, Finnmark, Norway, located within the polar circle (71o 05' 33" N) is mainland Europe's Northernmost Lighthouse. The lighthouse is at the same latitude as the northern tip of Alaska. 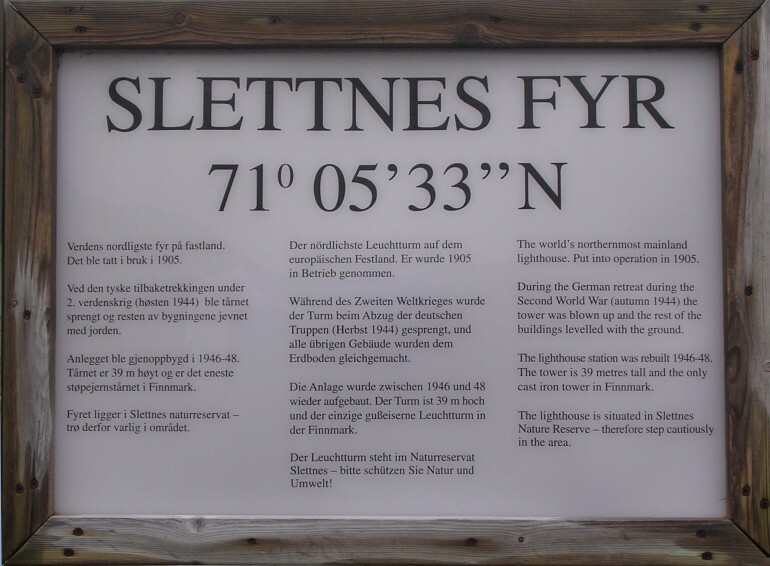 A plaque installed at the lighthouse claims that it is the World's Northernmost Mainland Lighthouse. The 39 metres tall lighthouse is built of cast iron and was commissioned in 1905. It was blown up by the German's during the German retreat in autumn of 1944 and was rebuilt in 1946-48.